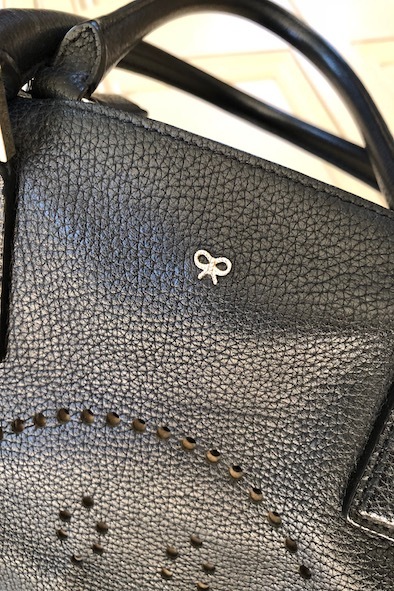 This gorgeous black “Ebury” bag by Anya Hindmarch is a modern classic. 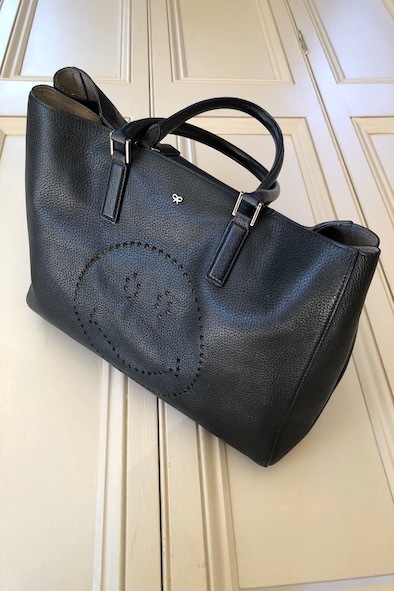 The perforated smiley face on the front gives the bag a modern fun twist. 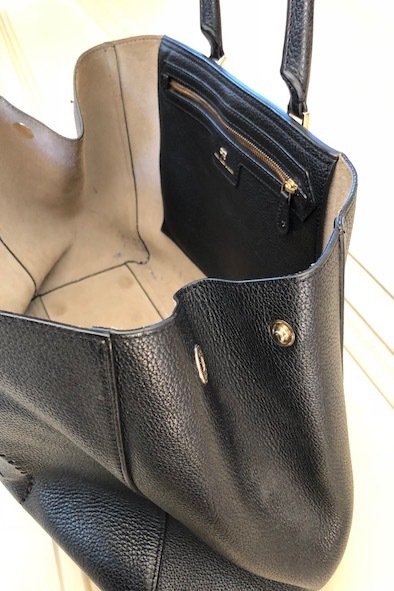 The bag is in good condition apart from some pen marks on the inside of the bag. The poppers on the sides of the bag allow you to make the bag larger. A fun style steal at £295!